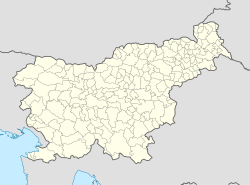 Lončarovci (pronounced [lɔnˈtʃaːɾɔu̯tsi]; Hungarian: Gerőháza) is a village in the Municipality of Moravske Toplice in the Prekmurje region of Slovenia. There is a free-standing three-storey belfry in the middle of the village. It was built in the 1940s. The writer István Ballér was born in Lončarovci. This page was last edited on 28 July 2017, at 04:45 (UTC).